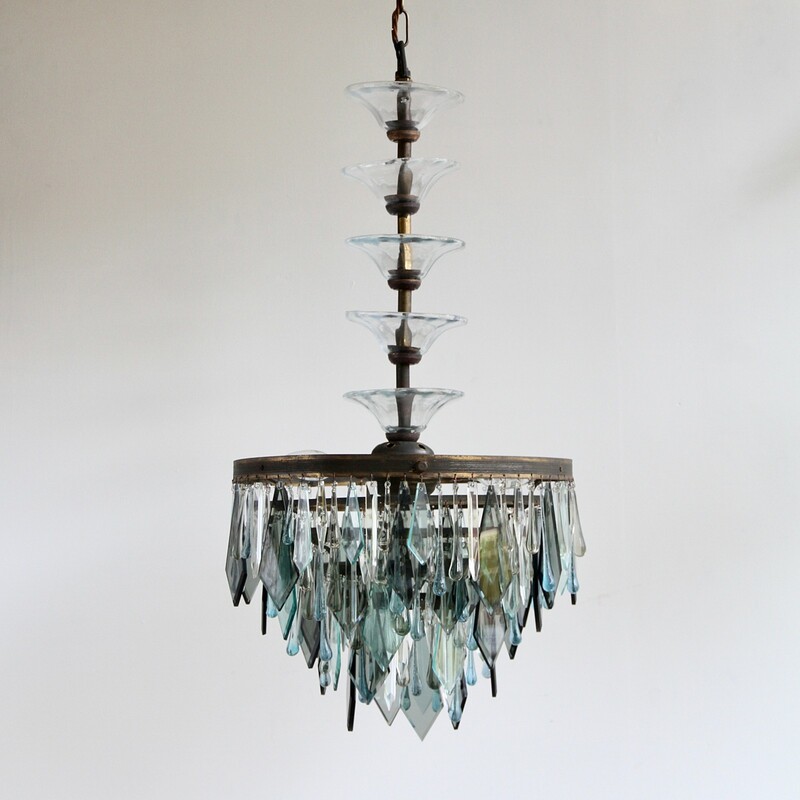 1920s Waterfall Chandelier frame with bespoke tiered glass stem. Dressed in a mix of crystal icicles, clear, black and blue crystal shards and contemporary teardrops it is a unique statement piece. Uses three SBC fittings, B15. Supplied with chain and ceiling rose.